In case one wishes to claim car accident compensation for damage, precise procedures need to be followed. If one has been engaged in an accident involving motor vehicles, for which there is insurance obligation, the drivers of the involved vehicles or, if different persons, the respective vehicle owners first of all shall report the claim to their insurance undertaking. One must report the accident within 3 days from the date of the harmful event, through filling out the CAI (i.e. friendly report of an accident) form, if signed jointly by the two drivers involved and in the absence of a proof to the contrary, it suggests that the accident took place within the circumstances, presenting the modalities and showing the consequences resulting from it. 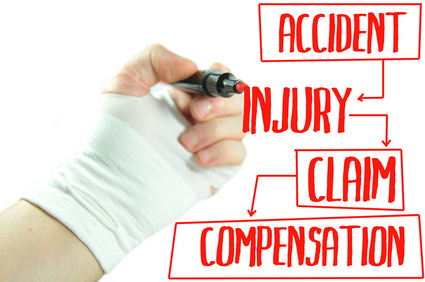 If consequently to the accident only material damages or minor personal injuries emerged (biological injury less than 9% of permanent invalidity), the injured party may directly bring to his/her own insurance company (that is the company with which the insurance contract has been signed) the compensation claim (namely the so-called “Direct car accident compensation” or “direct compensation” procedure). On the contrary, if the physical damage involves a serious injury (biological injury greater that 9% - macro-permanent injuries), the injured party shall access the ordinary procedure for obtaining of accident compensation, that is he/she shall turn to the insurance company of the party liable. - 90 days, in case of physical injuries. Within the above-mentioned terms, the insurance company shall formulate an offer of “car accident compensation” to the injured party, if the latter party agrees, compensation has to be paid within 15 days from receipt of notification. If the injured party refuses the offer, the insurance nonetheless has to pay the offered amount and the injured party may keep it in the form of down payment on the greater due amount and bring proceedings before the court for reconsignment of the difference. Those damages entitled to compensation essentially consist in financial damages and non-financial damages. - biological injury concerns temporary or permanent injuries to a person's physical and psychological integrity, which can be ascertained by medical-legal means. The biological injury may have negative effect on the daily activities and life relation aspects of the party injured, independently of possible implications on his/her capacity to produce income. - damage to specific work skills, namely reduced capacity to produce income in relation to the job performed and consequential to the injuries derived from the accident. When ever the company does not intend to recognise to the injured party the right of compensation (physical and moral injury compensation) or offers a significantly lower amount than the actual value of the damage, the injured party may refer the matter to the civil Law Court in order to have the correct compensation amount recognised. Before appealing to the court, it shall however be mandatory to try to reach a settlement agreement between the parties, by recourse to “assisted negotiation”. A negative result of the assisted negotiation (in case the insurance company did not join the negotiation) would allow to implement legal proceedings. - after 90 days in the event of accidents causing serious personal injuries. Once the action is brought before the Court, the latter will decide on the right and extent of compensation. In the most serious car accidents, because of which significantly severe personal injuries have been caused, criminal proceeding is also recommended. In this latter case, lawsuit shall be filed within 3 months from the date of the accident. If the accident resulted in a very serious injury or death, criminal proceeding will be initiated automatically, without needing a lawsuit. The person injured by the car accident may join a civil action to the criminal proceeding in order to obtain compensation besides conviction of the person liable. - 5 years if the liable person's action is not only classified as tort, but also as crime (for instance grievous bodily harm). In view of the above and considering the complexity of the matter, it is recommended to consult a lawyer not only in those cases in which one wishes to bring civil or criminal action to obtain compensation, but also in phase of negotiations with the insurance company, to avoid making errors which may undermine the positive outcome of the procedure. Do you wish to receive more information on how to claim for car accident compensation? Contact us.